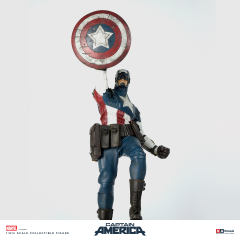 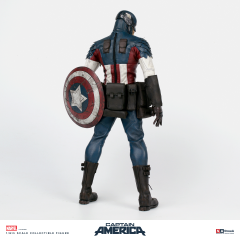 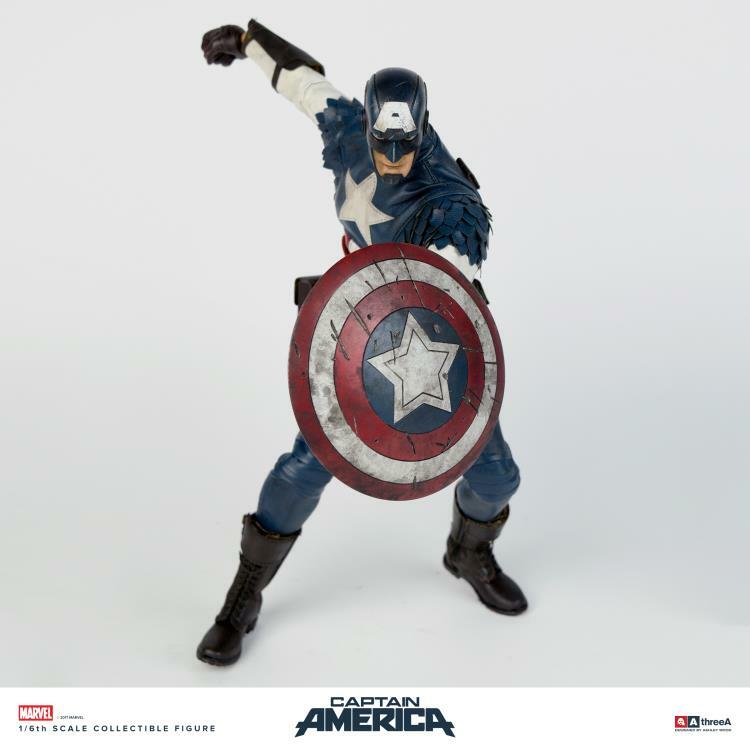 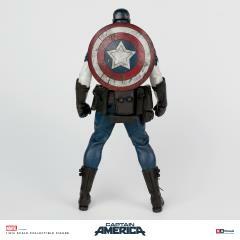 ThreeA and Marvel proudly present the sixth character in their stylized Marvel 1/6 scale Collectible Figure Series, Captain America! Ashley Wood and ThreeA take the Sentinel of Liberty into the modern world blending elements of his unmistakable historic comic book outfit with contemporary tactical fatigues, all deftly tailored including the classic layered scallop detailings. 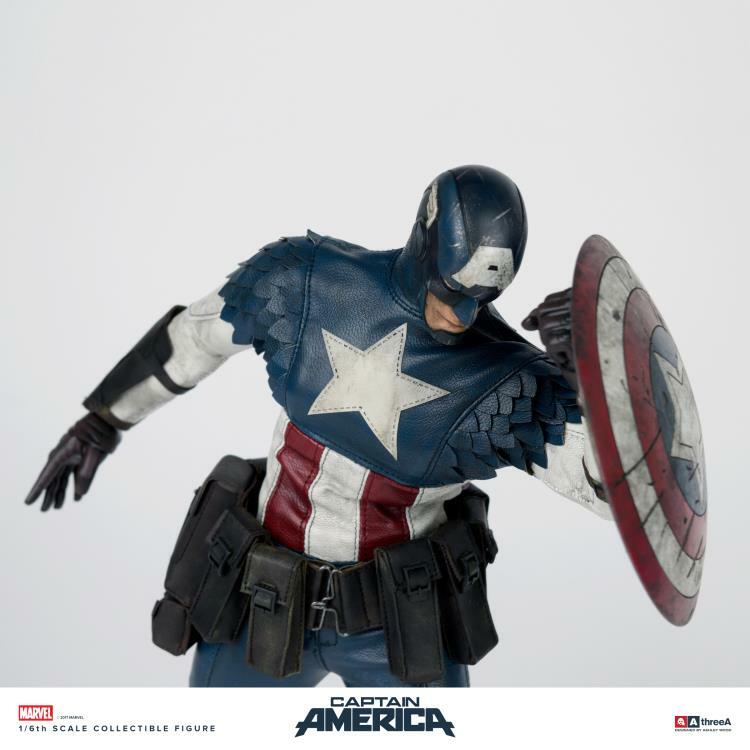 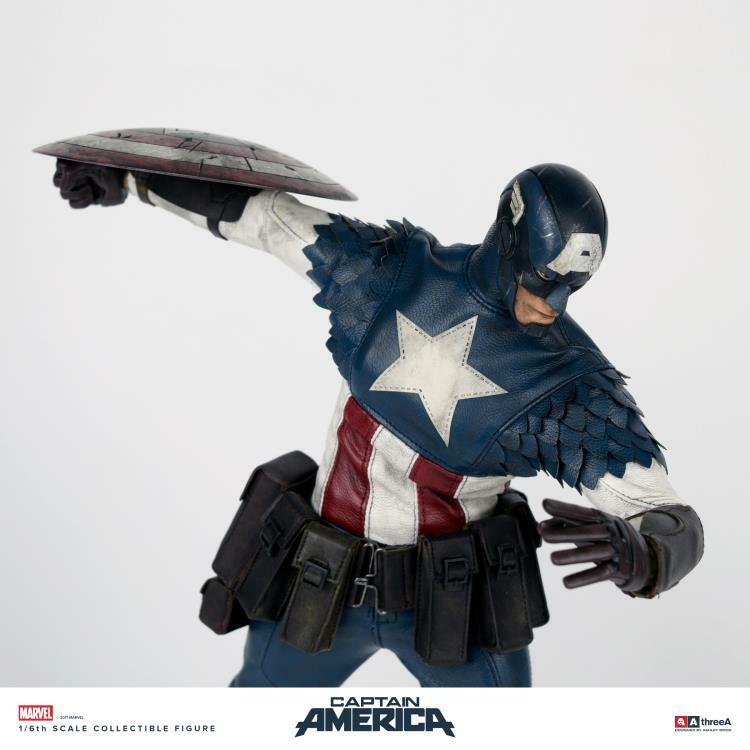 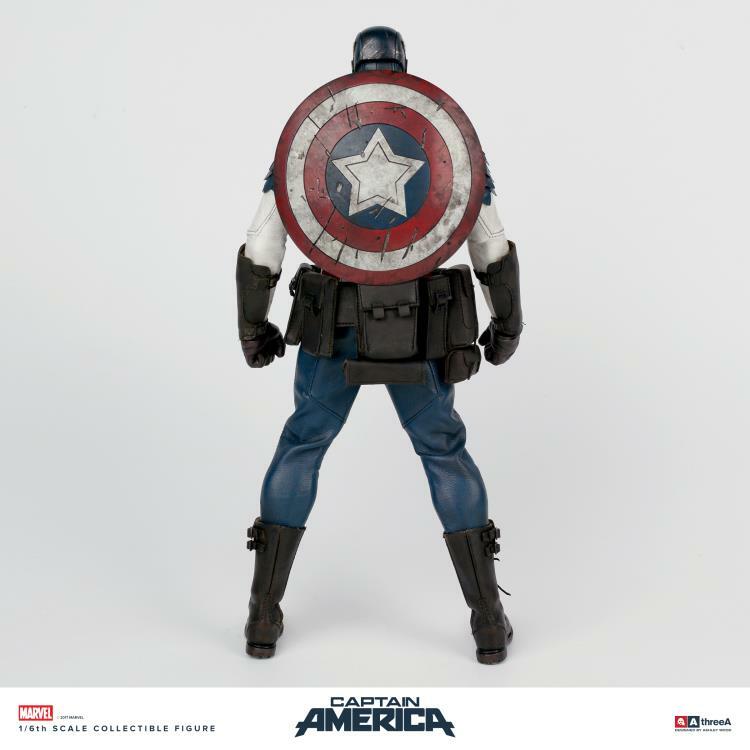 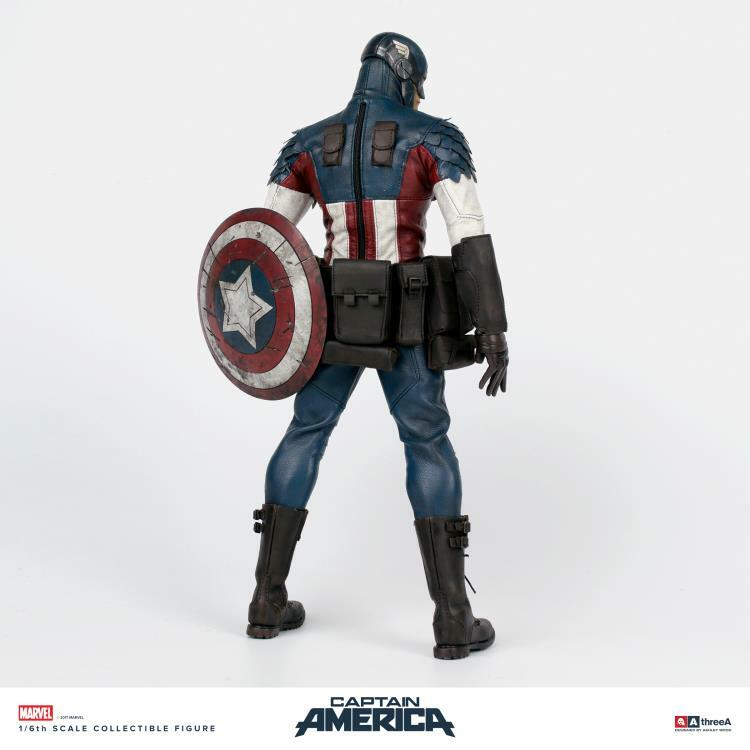 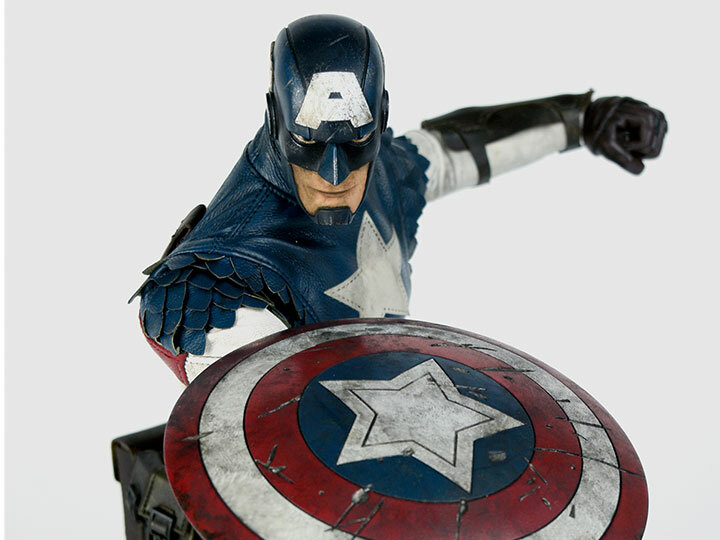 Captain America comes complete with his iconic shield, featuring magnetic detailing that grant the ability to store on Cap's back and on his faux-leather arm bracers. 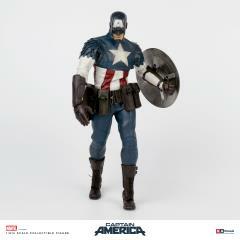 He debuts a newly enhanced, heroically proportioned 1/6 scale body!